Threshold Festival, now in it’s 7th splendid year, is a collaborative approach to a festival – with many other people involved in curating the music stages and events and this year we are thrilled to announce our involvement with the Popped Music Stage! In this particular preview we have Michael Edward, promoter and owner of Loner Noise who is presenting the WRONG stage at this year’s festival at District on Saturday 1st April. 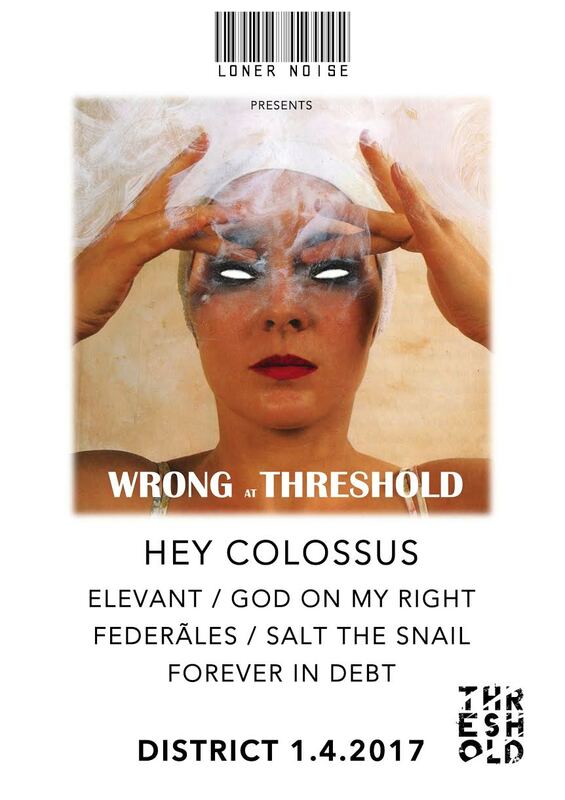 Their stage features Hey Colossus / Elevant / God On My Right / Federãles / Salt the Snail / Forever in Debt. “Threshold Festival is a wonder. It’s done by people who only care about the music. It’s often the first festival Liverpool bands get to play and is a sprawling monster that encompasses its entire grassroots scene. It has a collective style attitude, in that it’s as much about the headliner as the first band on, and it’s thoroughly encompassing of every genre and art form you could possibly imagine. Tickets for Threshold are on sale now!